The latest cover of Newsweek has sparked controversy yet again. The covers of the magazine have become infamous over the years. Newsweek has been known for picking provocative covers and stories. When the magazine comes under fire for its cover stories and photos, it responds by saying that it is simply trying to begin conversations. The latest issue of the magazine has a lead story that discusses the protests going on in the Middle East right now. The article was written by Ayaan Hirsi Ali. 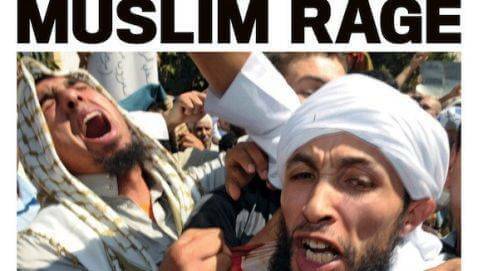 The cover of the magazine features a headline of “MUSLIM RAGE” and it is just above a picture featuring men who are wide-eyed.